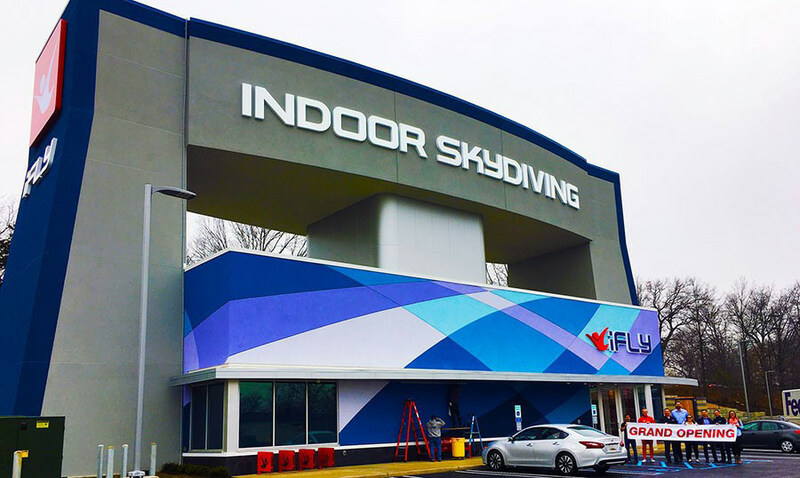 iFLY is a three-story building approximately 5,900 sf with two air towers and a centralized indoor skydiving chamber. 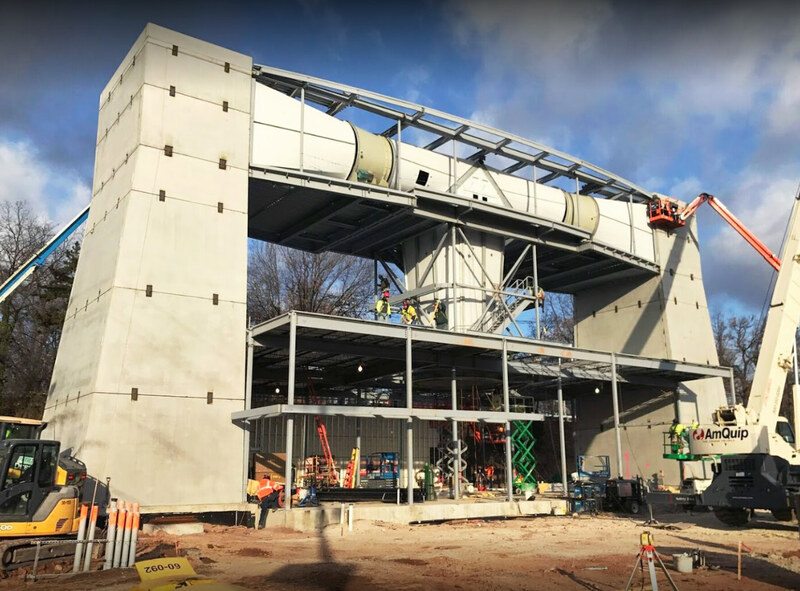 The main building has steel frame and concrete over metal deck floors and roof with the two precast concrete towers providing all lateral force resisting support. The air towers are a mixture of 12 in., 10 in., and 8 in. 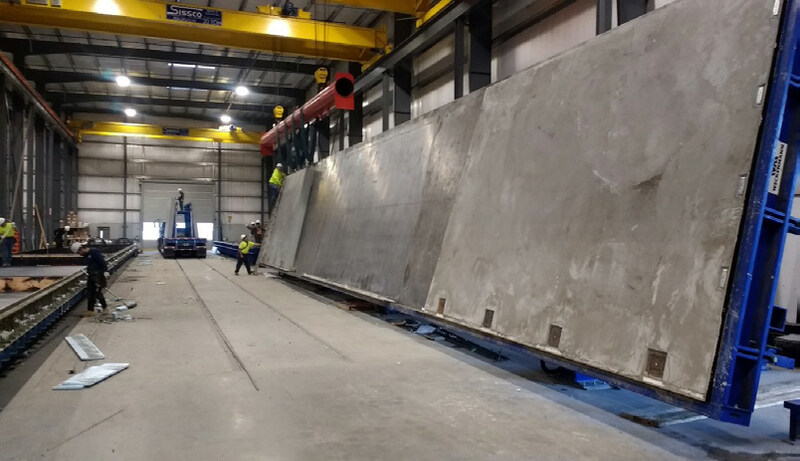 thick solid panels and insulated concrete panels that provide support for gravity and lateral forces along with internal air pressure up to 100 psf. The precast concrete towers were designed at angles and connections were detailed for this unique condition. Due to the specifications of the air tower and wind drag, all connections were exterior and/or recessed. The erection sequence was specified and checked at each stage by TD&H Engineering. Structural design of precast concrete air towers. Two total. Erection, handling and fabrication drawings for construction.